June 2014 Community Round-up – Zombies, Run! It’s time to take another look at what the crazily creative and prolific Zombies, Run! community has been up to. As usual, you’ve been pretty busy so there’s a lot to get through! 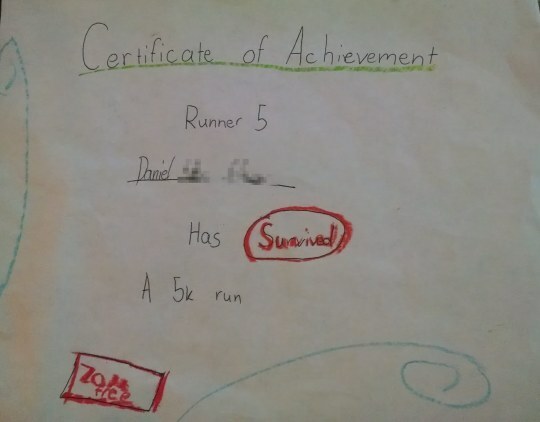 My 11 year old daughter has been following my progress on Zombies Run 5k and Season One. Yesterday for Father’s Day we did a 5K together – Season 1 Mission 12 – and she presented me with the attached Certificate. Note the “Zom Free” stamp at the bottom – she thinks that Able Township should give every runner a medical checkup after they return from runs, to make sure they have no bites or scratches. Lucky for me, I passed inspection. Next, we have a member of the Zombies, Run! writing team who has created their own game! Gavin Inglis, a writer on Zombies, Run! Season 3, has produced an interactive horror novel called Neighbourhood Necromancer. Unlike in Zombies, Run!, this time you’re in charge of the zombies as you try to take over the suburbs. 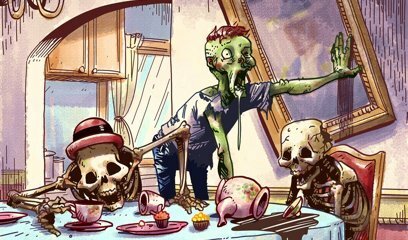 It sounds deliciously daft and fun, in a way that only a skeleton’s tea party can. You can grab Neighbourhood Necromancer on iOS and Android devices, or play it online over on the Choice of Games website. Friend of Zombies, Run!, Kas Sweeney (you may know her better as TheWonderSmith) has created a brilliant new Tumblr account called Ask Radio Cabel. Kas masterfully illustrates in-character responses by Jack, Eugene, Phil and Zoe to questions submitted by people like you. So head on over and see what’s already there, then submit your own! Ask Radio Cabel is unofficial and not part of the Zombies, Run! canon. But that doesn’t mean we don’t love it! Zombies, Run! 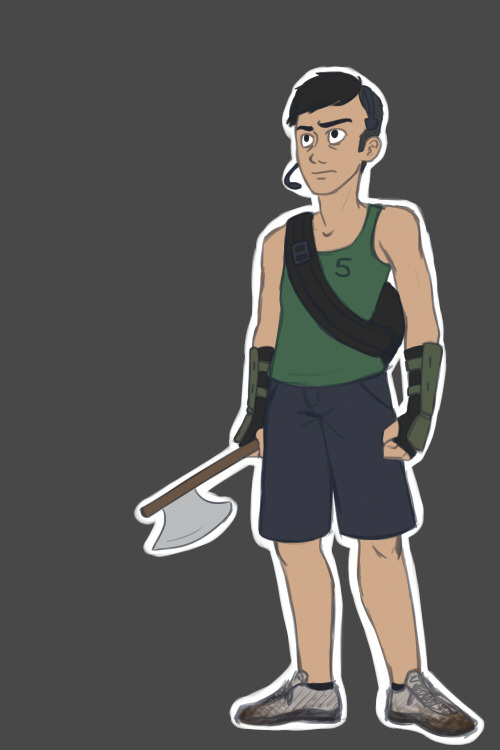 fan p-cinereus has drawn himself as Runner 5, sporting some snazzy bracers and a (not yet bloodstained) axe. Formidable! P-cinereus is a relative beginner to Zombies, Run!, having recently started to play 5k Training. We’d like to wish him good luck with it and look forward to seeing more Zombies, Run! fanart from him! 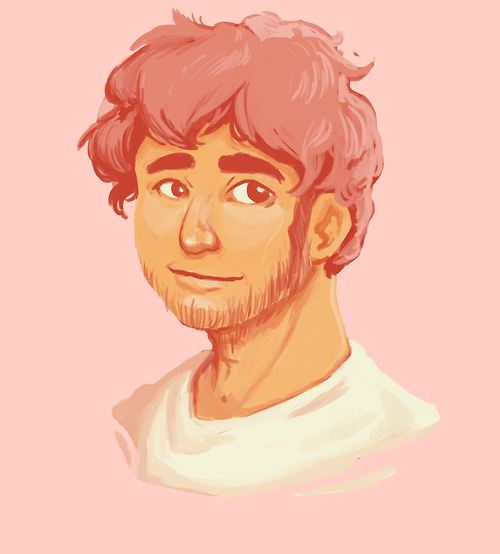 This adorable pic of Eugene was created by Emma (aka Crownleys). It’s part of a community-wide colour palette meme, where artists are requested to create work using only a set palette of colours. It makes for some striking images, as you can see! Zalia’s Iron Zombies After Dark creative challenge has completed and has resulted in a huge amount of new Zombies, Run! fanart and fanfiction. 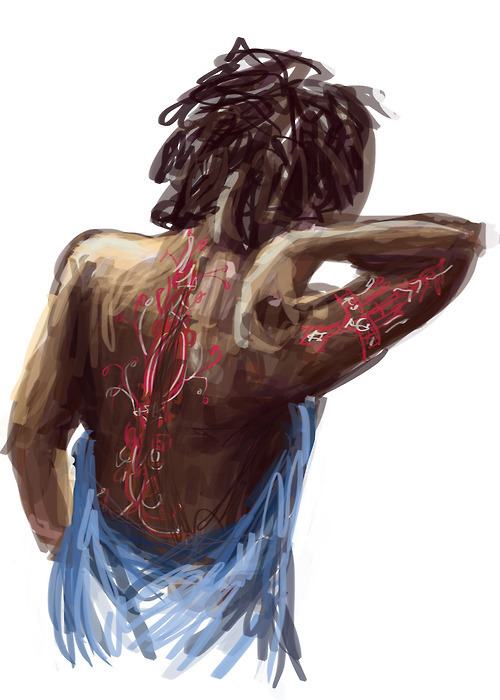 There’s a great round-up of everything the talented participants have created. A quick warning, however: some of this stuff might be NSFW. Enjoy! If you have something to submit for the next Zombies, Run! Community Round-up, you can send your work (attachment or link is fine!) to Jem@sixtostart.com. We’re looking for art, fiction, photos or any other piece of creative work you’ve made. Alternatively, if you’d like to nominate someone else’s work that’s cool too!